Did I ever mention that I don’t paint landscapes. On my return to Comox I decided to take a landscape painting workshop because that’s what a lot of artists paint up here and quite frankly, what mostly sells. 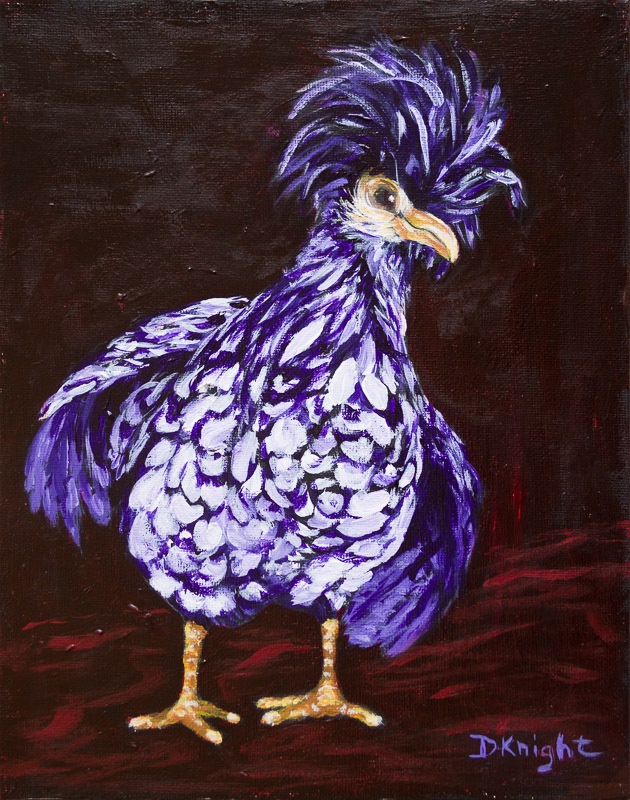 I did give it a “serious effort” and ended up with Purple Punk Pollo (chicken for those who don’t speak Spanish). I must say she did stand out in the class photo of our finished paintings. Goes to show, everyone sees things differently. That’s a good thing, right! !